Tuesday 26th June to Thursday 28th June 2018, at Sapienza University in Rome. Routledge, Celebrity Studies Journal, and Sapienza, University of Rome are pleased to announce the fourth International Celebrity Studies conference. Celebrity culture is the result of a twofold process – ‘celebritization’ (i.e. Boykoff and Goodman 2009) and ‘celebrification’ (Gamson 1994; Turner 2006) – connected to a mediascape that is defined by traditional mass media and, recently, by the internet. Within these mediascapes celebrities and micro-celebrities constantly emerge through online performances which are recognized by audiences as an expression of celebrity status. 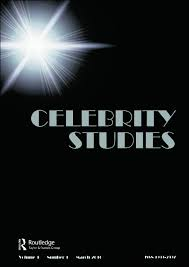 If we consider celebrity as a process, as a set of circulated strategies and practices (boyd, Marwick 2011) that build publicly, we have to reflect also on moments that remove celebrity from a place of value. Across cultures, degradation is the opposite to accreditation ceremonies (such as celebrification and celebritization), which are two social practices that involve a community’s shared values and specific social roles (Garfinkel, 1957). In contemporary society, media rituals of recruitment and ‘celebrification’ can easily turn into rituals of degradation, marking significant movements in a person’s social position. In other words, media constantly manages a complex and intensified representation, where the person’s status dynamics are constantly negotiated and evaluated by the people and the audience through their participation and everyday interactions. The role of the diffused audience (Abercrombie and Longhurst, 1998) is crucial: a degradation ritual without witnesses does not have a social impact. Widespread digital circulation of content on social media enlarges the audience and increases people’s engagement, resulting in a stronger effect of desecration. We invite papers and panels that consider questions related to these processes: what happens when celebrities lose their own status? How can celebrities manage their status in the contemporary fluid media-scape? What role do media rituals have in building representations of both celebrification and degradation? What role does the audience play in desecrating a celebrity? What set of communicative practices may compose a degradation ceremony, transforming the social identity of the celebrity into another of a lower rank (such as an ordinary person)? The conference welcomes submissions from a broad range of disciplines: from film and television to digital media studies; from reception and audience studies, sociology, psychology and anthropology, politics, history, economics, literary studies, philosophy and more. We invite abstracts for individual 20-minute papers or pre-constituted panels of 3 x 20-minute papers on any topic related to the conference theme. Individual Abstracts to be: 250 words, plus a 50 word biography.